BRIGHT, SPACIOUS 1 bdrm condo with super WRAP AROUND southeast exposed PATIO! Your own entrance, great floor plan, rock wood burning fireplace, laminate flooring throughout, in suite laundry, lots of cupboards and storage. QUIET location in complex! 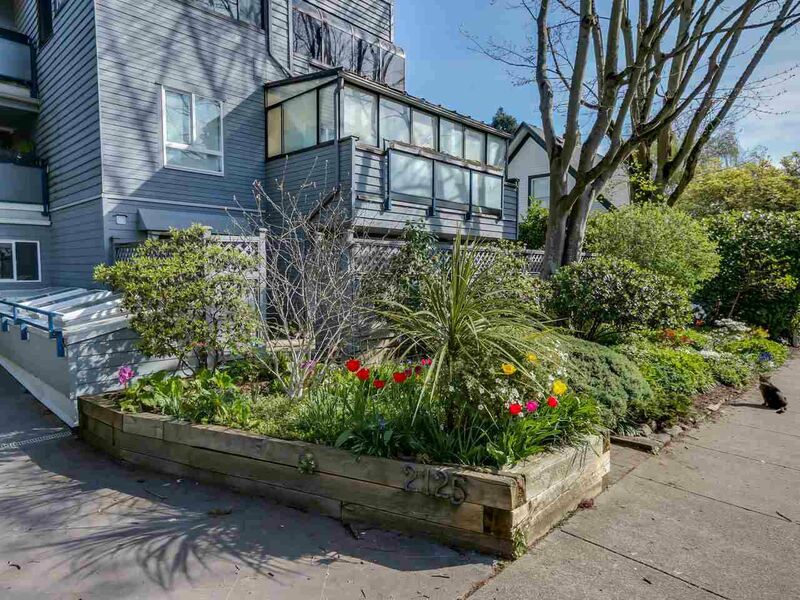 CLOSE to BEACH and Kits pool and Yew St and 4th Ave restaurants and shops! READY for MOVE IN!